Distribution of dynamic volumes on disks is calculated automatically. 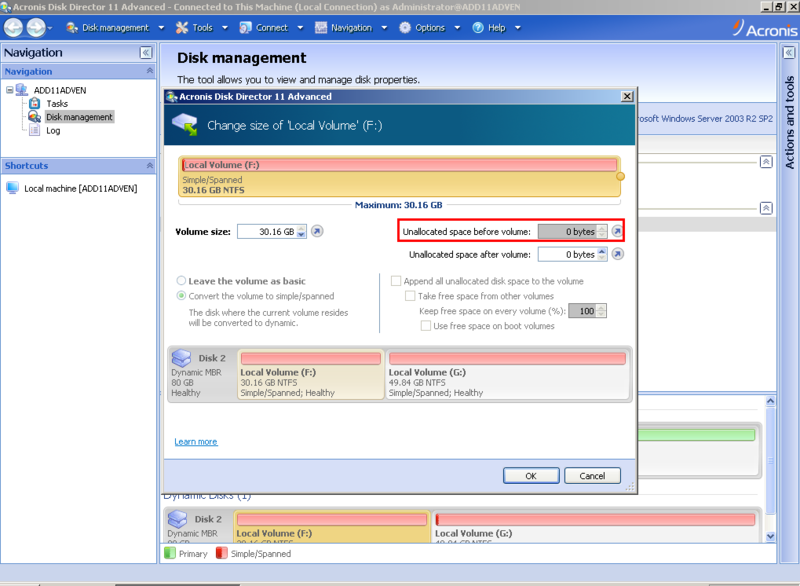 You can set Unallocated space before only for basic volumes. Next update of the program will contain an appropriate warning with explanation of this behavior.